Mystic Museum of Art hosts the 107th Annual Exhibition of the Connecticut Academy of Fine Arts. Founded in 1910, CAFA was established by a group of renowned Connecticut artists who enjoyed a national reputation. Their goal was to promote the art of area members. They achieved this through an annual salon show, a juried exhibition that held high standards of artistic excellence. Artists could gain membership by proving themselves in the jury process. Today, the Academy is still an active organization of artists members, a non-profit organization supported by the membership. All of the leadership positions and exhibition activities are performed by volunteers dedicated to the preservation of this organization and the values it represents. In keeping with our long standing tradition CAFA holds yearly exhibitions that are open competitions. All artists are encouraged to enter their work. 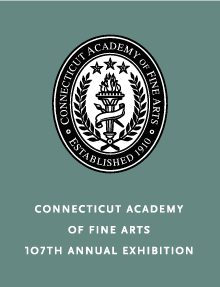 On Thursday, May 3, 2018 from 5:30 -7:30pm the 107th Annual Exhibition of the Connecticut Academy of Fine Arts opening reception will be held here at Mystic Museum of Art.